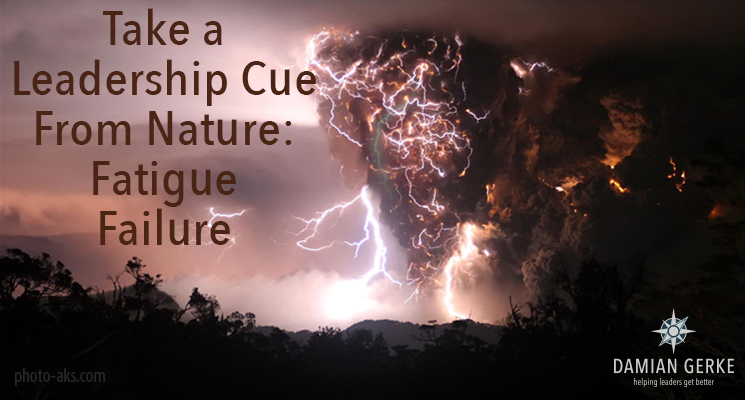 This is the first installment in an eight-week series called Take a Leadership Cue From Nature, using naturally occurring phenomena from the world around to illustrate how—if we’re not careful—we can let circumstances undermine our leadership effectiveness. On May 25, 2002, China Airlines flight 611, a Boeing 747 with 225 souls on board, disintegrated in mid-air 25 minutes after takeoff, killing everyone on board. The investigation revealed the disaster was caused by fatigue cracking in an improperly-installed repair of the tail section of the airplane. There are two modes that produce breakage (or “failure” in engineering lingo) in metal structures. The first is what you might expect: When more force is applied than the design can hold, which is called “yield” failure. The second mode, “fatigue,” is the more unpredictable. Metal structures that experience many on-off cycles of forces will, over time, become brittle—even when those forces are well below what the structure can normally handle. Once the metal becomes brittle, the application of even a slight force causes it to fail. We face a similar condition as leaders. Once the metal becomes brittle, the application of even a slight force causes it to fail. Fatigue will hit you when you least expect it, and will occur in situations you’ve successfully managed previously. Because it’s not about how strong and capable you are; it’s about how brittle you’ve become. The greatest remedy to fatigue failure is breaking the constant, repetitive and frequent cycle of work effort and concentration. The simplest way is to design in time during your day for a short break to think about anything but work. Conversations about kids, vacations or hobbies, mindfulness exercises, prayer—almost anything will do. More than half of Americans leave vacation days unused. These are significant trends, which hit a high (or should I say low?) point in 2015 when more than half of Americans (55%) left vacation days unused—the first time this had occurred in recorded history. It’s not about how strong and capable you are; it’s about how brittle you’ve become. The data above also reveal (somewhat counterintuitively) that taking more vacations not only makes you more productive, it also improves your chances of getting promoted. 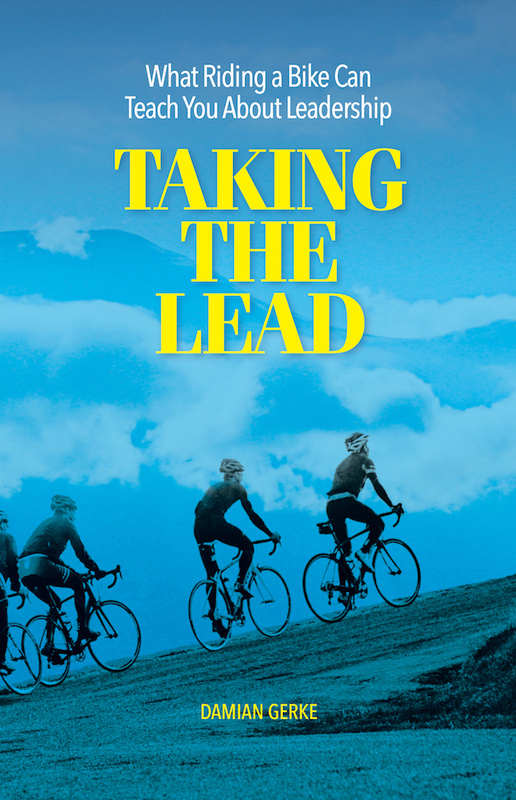 In a leadership context, avoiding the brittleness of fatigue makes you more agile, innovative and strategic, and gives you greater perspective and more meaningful interactions with your team. In 2015, more than half of Americans (55%) left vacation days unused—the first time this had occurred in recorded history. What will you do to break the repetitive, fatigue-inducing cycles of concentrating on your work?